O Canada, we stand on guard for thee – goes the final line of the Canadian National Anthem. Kevin Vickers, the sergeant-at-arms of the House of Commons along with Constable Samearn Son and the entire security machinery that saved the day for Canada highlighting the essence of the national anthem. They protected the Prime Minister and Members of Parliament when gunman Michael Zehaf-Bibeau opened fire in the parliament building. On Wednesday, October 22, 2014, after shooting Corporal Cirillo at the National War Memorial, Zehaf-Bibeau got into his car and made a U-turn in the direction of Parliament Hill, just a few hundred metres away. He abandoned the car outside the East Gate and commandeered one of those vehicles, which he drove right up to the front steps of parliament building with several RCMP vehicles in pursuit. That alerted the plainclothes officers inside the building, who carry weapons. During the ensuing struggle, Son was shot in the foot. He was taken to hospital later in the day, and released that night, but with a permanent souvenir — the bullet will stay in his foot, sources say, as it would do more damage to remove it. Zehaf-Bibeau continued up the stairs, but by that time, the officers inside had been alerted by Son’s cries. The shooter went down the hall, at which point Sergeant-at-Arms Kevin Vickers shot him. Kevin Vickers, the sergeant-at-arms of the House of Commons, routinely carries the ceremonial mace into the House as a symbol of authority. The kings of England and later the speakers of the House of Commons had sergeants-at-arms carrying large maces to protect them. Vickers richly deserved the prolonged standing ovation he received in the House of Commons on 23 October, and the thanks of a long procession of MPs thereafter. Vickers issued a statement saying he was touched by the attention but gave full credit to the whole remarkable security team, which demonstrated professionalism and courage. To Canadians he is being hailed as a hero. Despite the incident, Vickers was back at work first thing this morning as MPs returned to Parliament. Vickers, 58 years old, served the Royal Canadian Mounted Police (RCMP) for 29 years and on retirement he became the sergeant-at-arms in 2006. In his RCMP career, he rose up the ranks from a constable to chief superintendent. 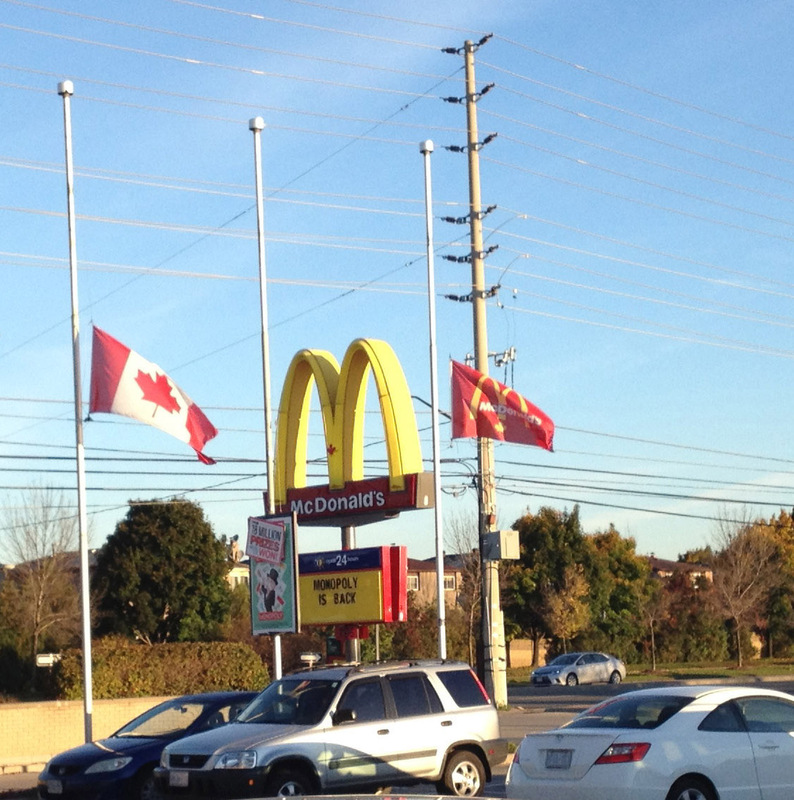 The image above showing flags flying at half-mast as a sign of respect for the fallen soldier, was taken in front of the McDonald’s outlet across the street from our home on 23 October 2014. Both the Canadian national flag and the McDonald’s flags are at half-mast. 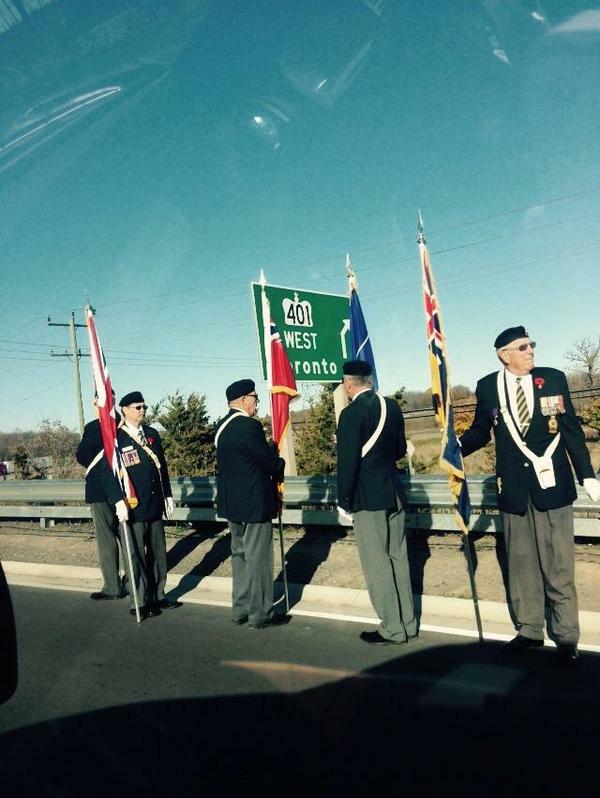 This brings out the real national character of the Canadians and exemplifies their regard for their soldiers. There was a special reinstatement ceremony of the Sentry Program at the National War Memorial on 24 October. Two soldiers took their posts as sentries on either side of the Tomb of the Unknown Soldier for the first time since Cirillo was shot in the same location on 22 October. 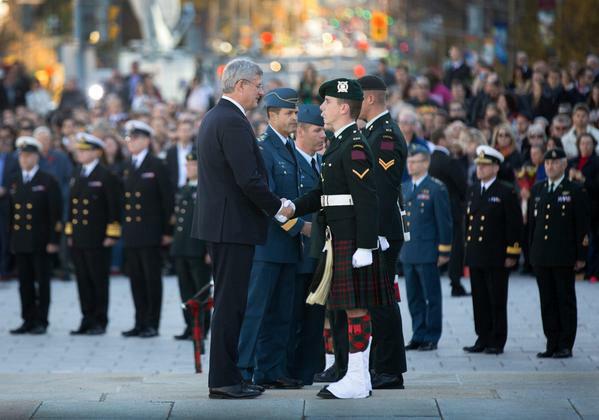 The ceremony was attended by Prime Minister Stephen Harper and he greeted the soldiers alongside General Tom Lawson, Canada’s Chief of the Defence Staff. Among those he greeted were the five passersby who tried to save Cirillo’s life after he had been shot. 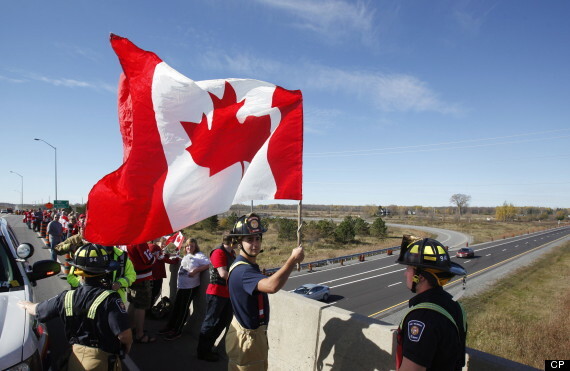 On 24 October 2014 afternoon, as Corporal Nathan Cirillo made his final journey home from Ottawa, thousands of Canadians lined the roads and highway overpasses from Ottawa to Hamilton, Ontario, to pay respect to the fallen young soldier. 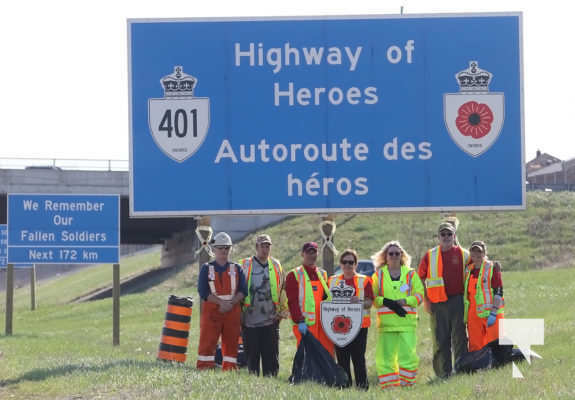 As the hearse carrying Cirillo’s remains travelled along the Highway of Heroes, a stretch of Highway 401 named in honour of all the soldiers who laid down their lives. Onlookers waved Canadian flags and clapped. The crowds included veterans, police officers, firefighters, military families and those who wanted to pay their respects. Some sang ‘O Canada’ as the hearse passed by. 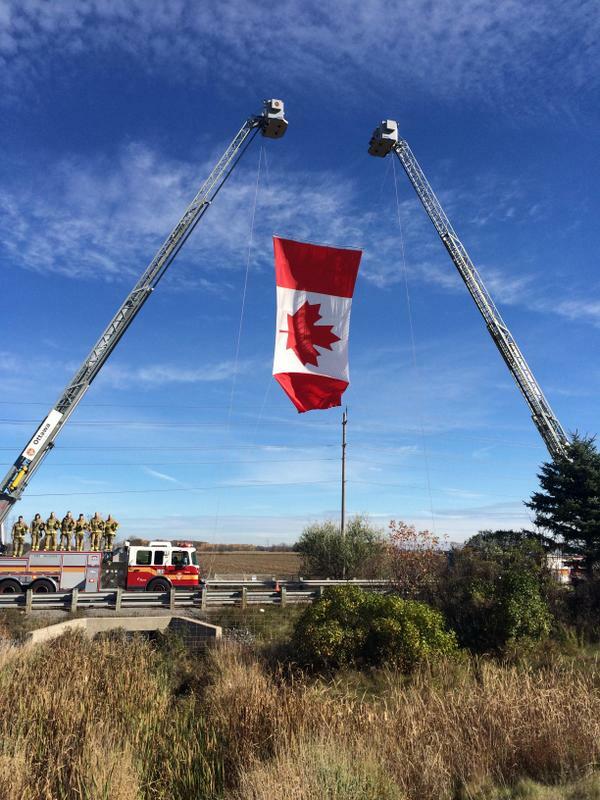 On all the overpasses, the fire fighters had raised the Canadian national flag atop the ladders of the fire trucks. 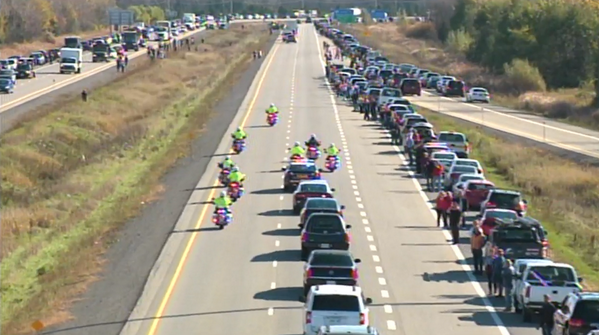 For more than 500 kilometers, other vehicles respectfully kept their distance from the motorcade or pulled over until the hearse was out of sight. 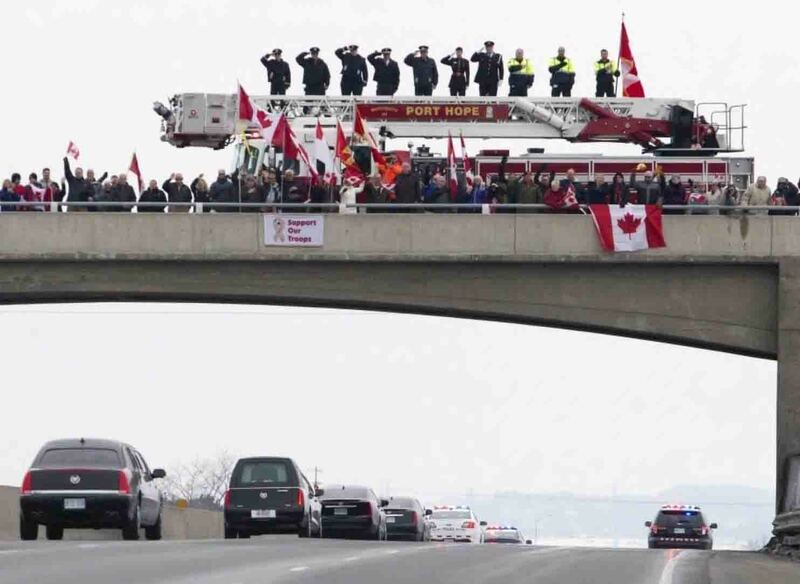 There were no police to enforce any traffic control, the self-disciplined Canadians demonstrated the apt way to pay respect to a fallen soldier. When the procession arrived at the Hamilton funeral home around 8 PM, the large crowd that had been waiting outside for hours softly sang the national anthem and applauded. 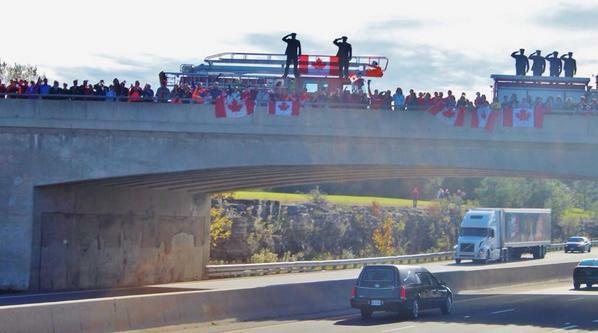 This demonstration of national pride and respect for a fallen soldier comes naturally to the Canadians. Canada does not have conscription and majority of the Canadians have not served with the military. The major contributor is the fact that Canadian military history forms a major part of the Canadian history curriculum from primary to high school level. The children learn about the heroics of Canadians in the first and the second World Wars and the role played by Canadians in various peace keeping missions across the world. It was the Lester Bowles Pearson, former Canadian Prime Minister who is credited as the father of the United Nations Peace keeping when he suggested that the United Nations station a peacekeeping force in the Suez Canal during the crisis in July 1957. To become a Canadian citizen one must pass the Canadian Citizenship Test which covers a major portion on the Canadian military history. This ensures that the naturalised citizens are well aware of the sacrifices and achievements of the Canadian soldiers. On the occasion of the Remembrance Day on November 11, the school children discuss about their relatives who served the military – both the past and the present. 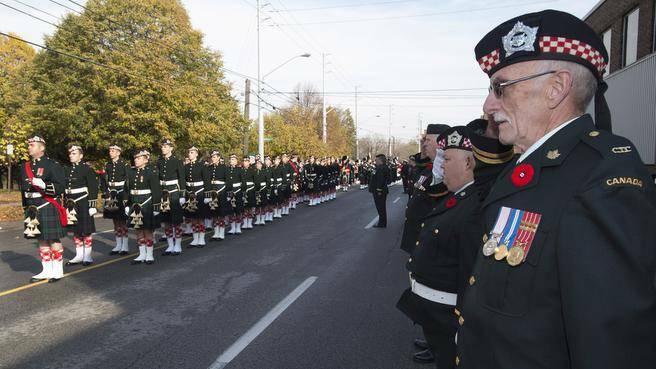 In all the schools and in many public places, ceremonies are conducted to honour the veterans and the serving soldiers. Above all, during the week running to the Remembrance Day, all Canadians wear a Red Poppy as a mark of respect to the soldiers. National character of Canadians is worthy of emulation and our respect. Hope some improvement will take place in India. For a change Mr Modi visited Siachin Glacier , a first for a PM. Today no nation can claim to be insulated from acts of terror. The back ground of the shooter should be able to reveal if he acted on his own or was part of a larger network . If parliament was his target, he would not have commenced firing before entering the building. Or was he a mentally unstable person. Hope you will cover this aspect . Well written moving tribute to a soldier and a national hero. These sort of actions really need to be imbibed by Indians; but I do feel it would be ages before we reach anywhere there.